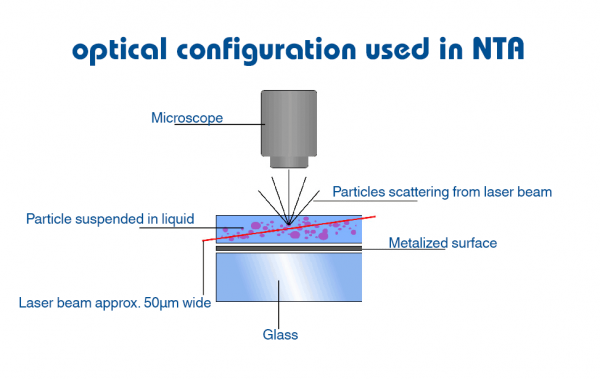 Nanoparticle tracking analysis (NTA) is a method for visualizing and analyzing bubble or particles in liquids that relates the rate of Brownian motion to particle size. A laser beam operating at 405, 488, 532 or 635 nm is passed through a prism edged glass flat within the sample chamber. The particles in suspension in the path of this laser beam scatter light in such a manner that they are easy to visualize. 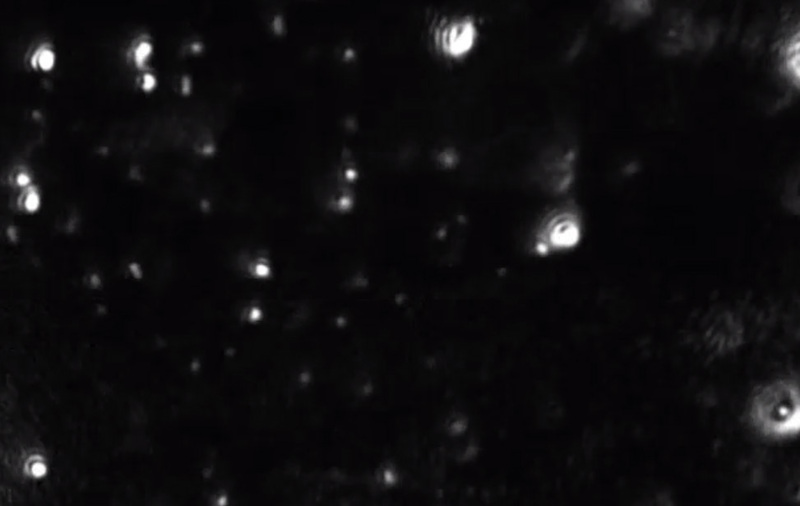 A CMOS camera operating at 30 frames per seconds, captures a video file of particles moving under Brownian motion within a field of view of approximately 100 micron meter x 80 micron meter x 10 micron meter.